An artist updates their body of artwork as often as able, adding new works, revamping and recreating past projects. Artists are always evolving and moving forward. A website used to showcase a portfolio should be evolving and moving forward too. Many of us (myself included) are so focused on creating art that we forget or neglect our websites. The thought of maintaining them with the latest creations and completed or in-progress works of art is just one more thing to add to the mix of the daily tasks. But it is a necessary task to add if an artist is interested in garnering more new and repeat buyers. So how often should a website be updated? 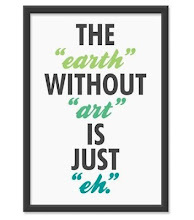 Well, ideally as often as there are new works to be shared, or when a piece is sold. It is certainly a best practice to mark a piece as sold on your website so other interested buyers continue to peruse your other works of art. If you are unable to update your website with an image and a copyright caption each time a new work is completed, consider setting a timeline and making a date to maintain your site. Every four to six weeks at the most, log in to your site, upload some new images of your latest completed art or work in-progress or simply update your blog or artist statement if it has evolved. The web is a living, growing entity and content that is updated more often attracts more repeat users which could lead to more sales and exposure.